Open your flow integration settings: From the flow that you want to integrate with JIRA, click the ellipsis icon next to your flow's name, and select Integrations. 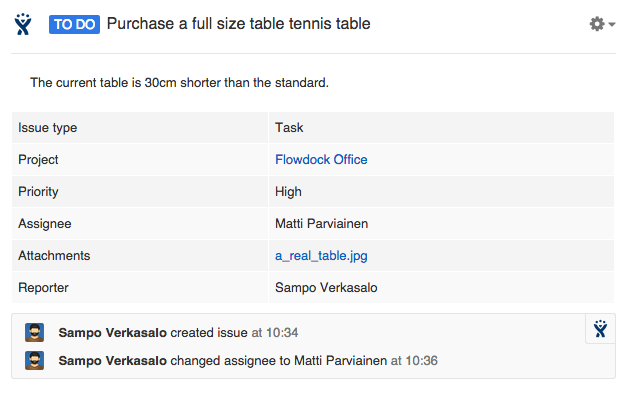 Hover over the JIRA section and click on “Add new”. That's it, you're done. If you want to stop receiving notifications from the JIRA account, simply delete it from your flow's Integration settings.